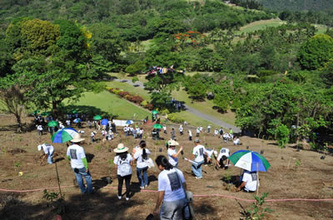 For supporting last year’s global Green Wave campaign through its massive tree planting efforts and other environmental initiatives, the ASEAN Centre for Biodiversity (ACB) honored Tagaytay Highlands at a special awarding ceremony for Friends of Biodiversity last May 31 at the Dusit Thani Hotel in Makati City. 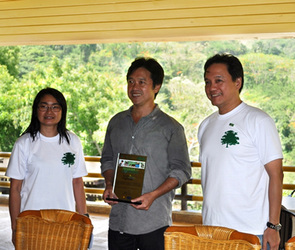 The award was received by Claire T. Kramer, Tagaytay Highlands General Manager and Henry N. Ocier of Belle Corporation during the awarding ceremonies and forum for the ASEAN Champions of Biodiversity, a recognition programme for ongoing projects on biodiversity conservation and advocacy in the ASEAN region. 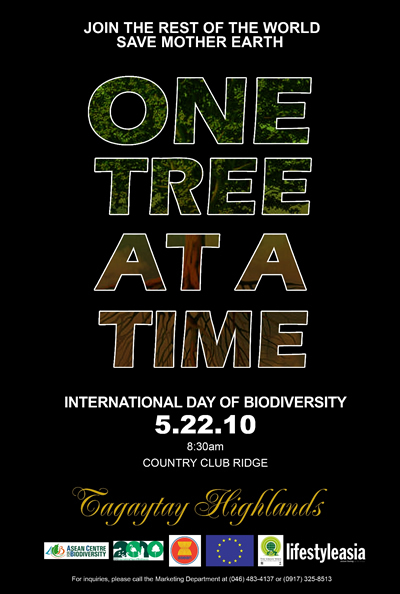 In a related development, Tagaytay Highlands, Belle Corporation and Highlands Prime, Inc. led by Kramer, Jerry C. Tiu, Tagaytay Highlands Club President, and Rogelio R. Cabuñag, Belle Corporation President, greatly anticipated the International Day of Biodiversity and joined hands together to organize a tree planting activity for the whole community on May 21 at the Bird Sanctuary, The Midlands. 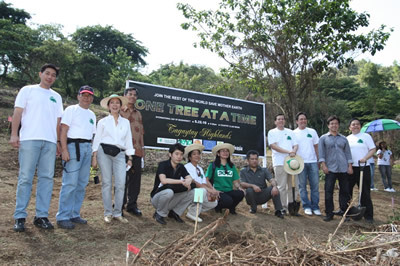 The tree planting activity, “One Tree at a Time” was warmly received by Club members, officers and employees from the three groups. 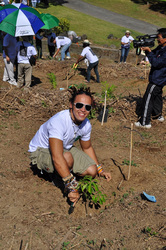 Over 100 fruit-bearing trees were planted that day. When these trees grow, the fruits will serve as food for the vibrantly colored birds endemic to the mountains of Tagaytay Highlands. This activity is a follow-through of last year’s highly-publicized tree planting event of the same title that involved partnership with the ACB and is in line with Tagaytay Highlands’ commitment to plant one million trees in 50 years. 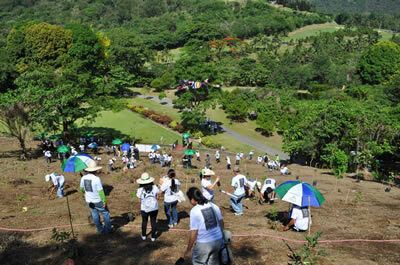 Let’s all work for the greening of the ever green Tagaytay Highlands!